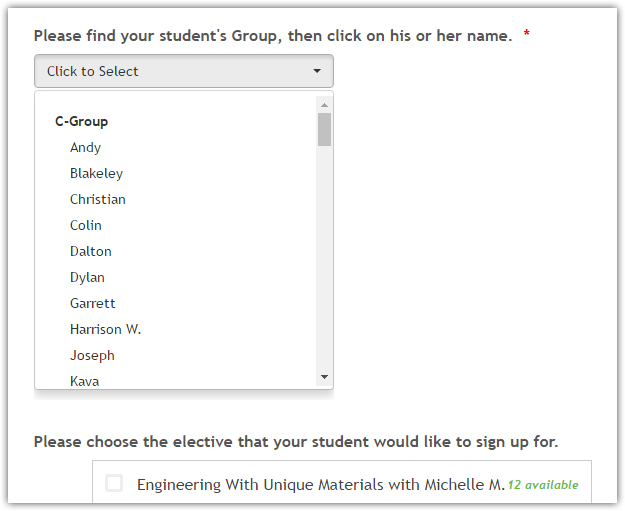 No matter what number I enter in the "Size" field of the Grouped Values Dropdown, all it does it increase the size of the entire field on my form and does nothing to increase the "number of options to show at one time". Is there some custom CSS I might add to fix this issue and allow more choices to show? 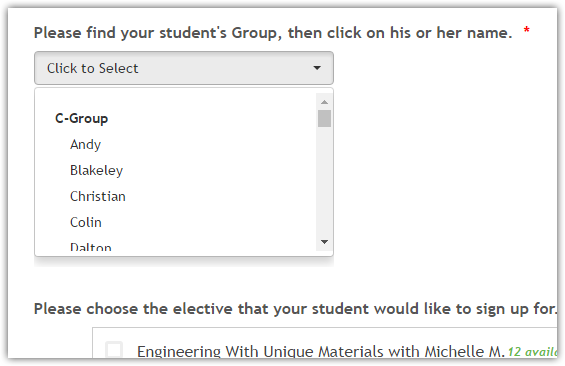 Hello, after doing some tests, I confirmed that the "Size" option on the Grouped Values Dropdown widget doesn't do anything. The size of the dropdown and the number of options to show at one time won't change at all. I'm currently looking for a CSS alternative to achieve this and will keep you posted as soon as I have one. And once I confirm that the Size option indeed doesn't work even on different forms, I will have to escalate this thread. For now, please allow me some time while I'm looking into it. Feel free to adjust the height and max-height values upon your discretion. 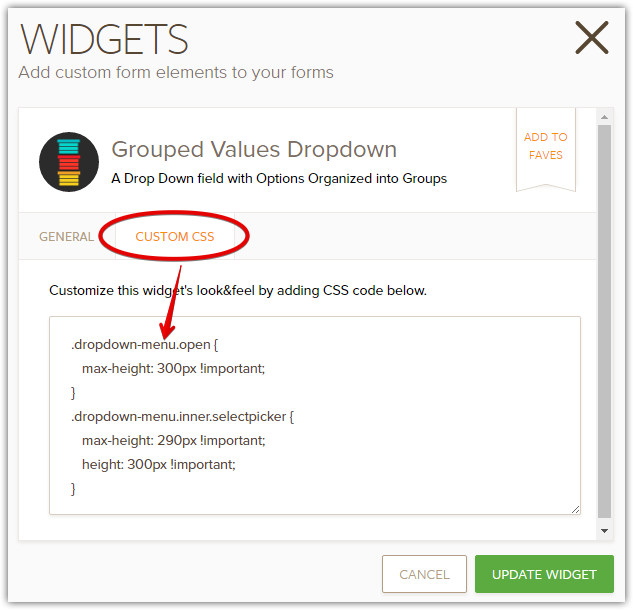 I have also done some tests on my own form with a fresh Grouped Values Dropdown widget added and was able to replicate the Size issue you reported. I've escalated this to our Devs and although I won't be able to give you any timeframe, rest assured, we'll keep you apprised on this same thread if/when there's an update. It's now fixed - Please check and let us know.